We should be testing the map again on february 16th along with other maps. On first pic, I see new building on left? Its nice, from where? Nice looking city, watch out people cant stuck beetwen that chairs and rest! And did you expand a little bit that first sector? It looked for me too small for big number of people. I think that is the Stalingrad Univermag. Yeah, it is from Stalingrad. The first and last sectors are small but they are supposed to last the shortest. Middle sectors are wide and should be where most of the fighting goes on. Thanks for that. I already knew it though, along with other similar glitches. I did not address those kind of issues yet because I want to test the gameplay and team balance first. For instance, there is an area of the map I plan on deleting thus it wouldn´t make sense to polish it yet. It will depend on how the final test goes today. Any more bugs/glitches/suggestions are welcome! That map was way more fun than I thought! gj on the layout. The map reminds me a lot of Ramelle, which imo is a pretty good city map. It certainly seemed to flow a bit better than Ramelle, but we didn't have a full 100 players afaik. I think this map will play a lot more like Ramelle with 100 players, so it could get stalemated very easily, or flow nicely and be more fun. -In general the map seemed to progress nicely, but there just never seemed like enough time for the Russians to cap the whole map. I think removing the last sector could fix this. Adding tickets or adding assets could make it drag on or be spammy. -There wasn't as much spam from the heavy tanks as I thought there would be. It seemed to be at a good level imo. Maybe some grenade limiting to 1 per kit couldn't hurt tho. That's usually the standard. 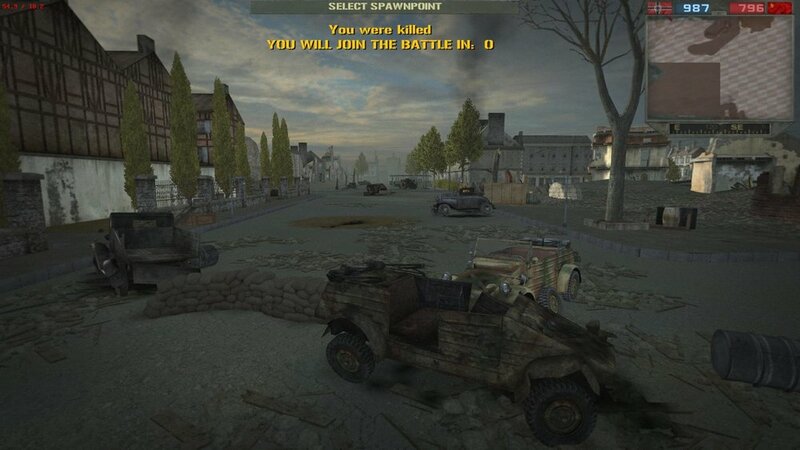 -The streets are more open than something like Brest which is really nice and allows the tanks to move more freely. -Fighting in the BGF static in the 'Store' flag gave me 'Grain Elevator' feels that was nice. -I think that maybe the last 2 flags could just be an uncapable main base, and the Altona and Square sector could be the last sector. This would shorten the map and give the Russians a chance to actually win. Altona would maybe need to be moved in this scenario. -I think Boulevard should be uncap after it falls. It's already tough on the Russians. Don't want to have a person sneak back there, pop out a squad, and then the Russians lose a bunch of momentum having to go back and get it. It's a tough flag to take and the map should be straight 'sector push' imo. 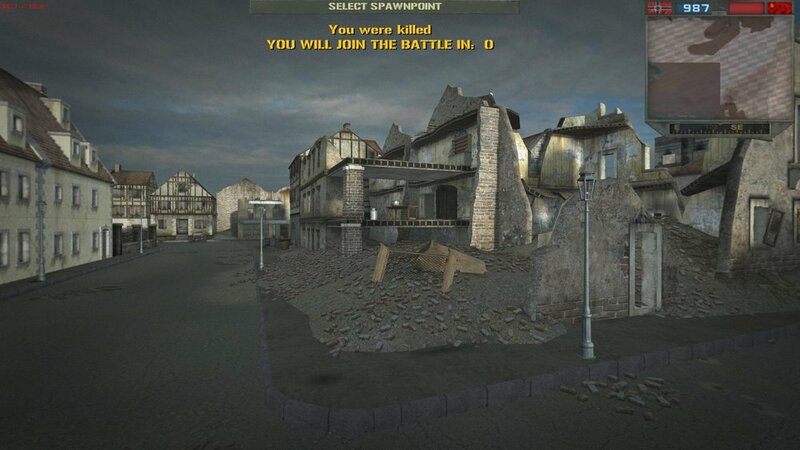 Overall this map was way better than I expected. I'll be honest and say it was my favorite map of the night, so great job. It's clear that you put a lot of work into it and I'm really happy you've decided to test the gameplay as thoroughly as you have. Honestly, I would like to see this map become official one day (even if that day is months or years in the future). That would take a lot of work and dedication (as much as you've already put into it) but I think it could be done. I'd like to comb through the map sometime and list out the things needed for it to be polished. From there, it could give us a better idea of if it's feasible to make it a 'real' Berlin map. I believe that with a few custom statics and other stuff, it could become convincing. Not to make it sound like it would be easy, but the map plays well and has lots of potential imo. Today was my second test on this map and there were more players so it gave a good idea of how this map would play in public. First sector should fall soon, this didn't happen when I played as Russian, but it did happen when I played German, so maybe it was the teams. Some sectors have real tight bottlenecks with no real options for flanking. I say again, like after the first test, that Boulevard is too hard for the Russians and it hampers the flow of the battle too much imo. Even though the Russians capped it in both rounds they didn't get much further after that (because of tickets running out or because of the fight getting bogged down). There are still way too many open buildings. For example: the chateau next to Fueldump and the church next to Square: it is nice to have them open, but performance is not good on this map. I had a steady fps of ~40, whereas I have an fps of 100-150 on most FH2 maps, on some even 300-400. I even had some real hickups and teleporting a short distance (didn't have that on the other maps afair). So less open buildings and maybe close off some parts if you don't want to close them entirely. You could also try and make a heatmap and close off the least used streets and save textures that way. Don't be afraid oif getting repeptitive with closed buildings: you can place them in various ways, reskin them and alternate with destroyed buildings inbetween them. Because you fight in different sectors, you can easily place the same statics in sector 1 and 3 and then others in 2 and 4. When spawning as a German at the location of the static Tiger, it is hard to get out of there, maybe try to make the collision of the rubble in front of it easier to pass through. As it is, I had to keep jumping to get out. I love the way you added more rubble and made the city look more like a destroyed place. Good move of the flagzone in the Store flag! Also, some other notes to piggy back on Slayer's comments. He's right that the first sector should be easy to take (want to keep that progression going). It's good that Germans get no tanks in this sector. But to make it a bit easier on the Russians I can suggest 2 things. A second path to attack from the other side would be wonderful. This way the Russian's can come from 2 sides instead of being bottle necked down one road. 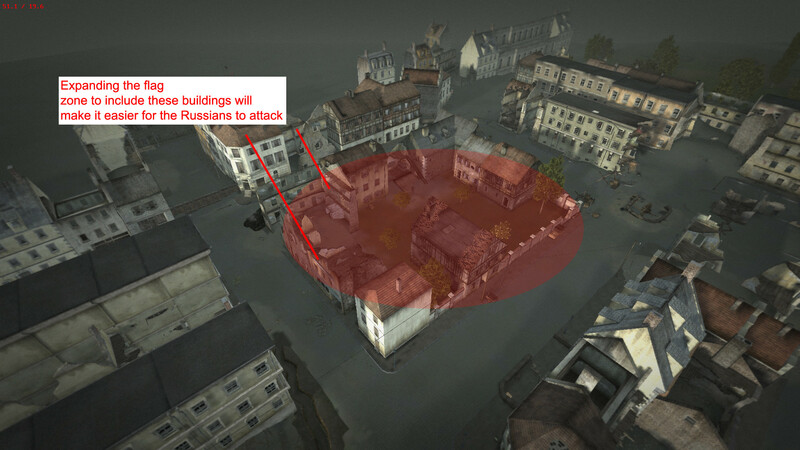 Yard, if you make the flag zone a bit larger to encompass these buildings, it will give the Russians a better chance. I noticed that I couldn't cap until way into the flag zone well within grenade range of the Germans where our tanks couldn't help us too much. Also, what Slayer was saying about performance intense statics. 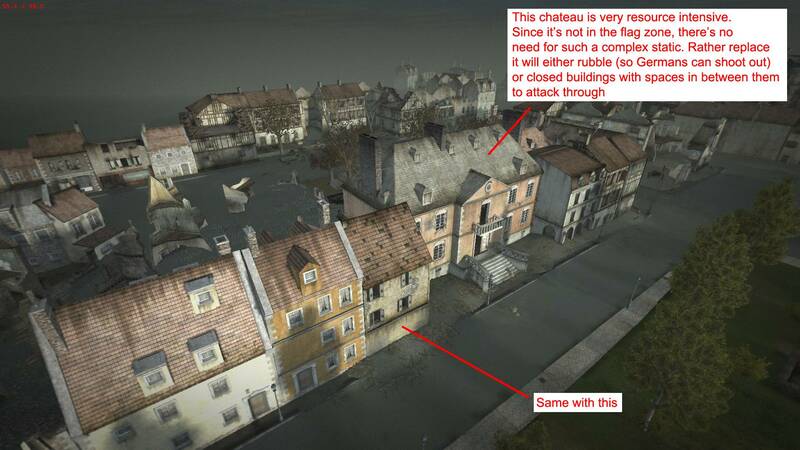 For example: the chateau next to Fueldump and the church next to Square: it is nice to have them open, but performance is not good on this map. These statics are large, with interiors that then need to be decorated and lightmapped. That makes them very performance intensive. These are best served as 'set pieces' in a flag zone where players can cap the flag from and will fight over constantly. Right now they're just used as cover for Germans defending outside the flag zone. I'd replace them with the typical destroyed ruins that will serve the same purpose and won't ruin the atmosphere or look repetitive imo. 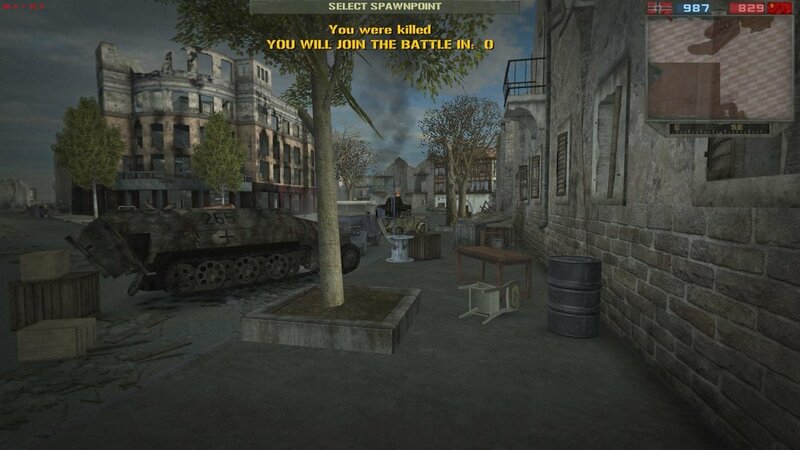 Also, as I said before, I think it would be great to limit frag grenades to 1 per kit on this map. There are non-stock FH2 buildings that don´t have proper LODs and thus they tend to lag the game. I think those are the number one problem behind lag right now. The thing is I have to learn how to fix those models myself and I don´t even know if I will ever achieve it since I know little to nothing about modeling. My goal is to release a playable Berlin as soon as possible and afterwards work on a patch with a variety of improvements regarding gameplay, optimization, aesthetics, etc. There are yet lots of things to do to make the map ready for the new map-pack so first I want to address the most important stuff. In general I need to keep the staticobject count where it is now (less would be even better). In order to widen/open an area of the map I would need to close/delete another area first to keep the number of statics fairly even. I will analyze the first round we played since it had around 70 players. It resulted in a horrible bottleneck-grenade-fest so definately something has to be done about it. Originally there was an extra passage appart from the 3 streets. I ended up taking it away but maybe I will have to either re-open it or make the streets a bit wider. Connected ruined buildings and wider flagzones could definately help avoid the grenade spam. Again, too many players for too few narrow streets. Expanding this sector is not an option since it lags the most so I would rely on weakening the german assets. Maybe limit more the machineguns and statics AT guns. Make Boulevard flag un-recappable and add some infantry-only passage to allow some flanking through the ruins to get out of the choke point. 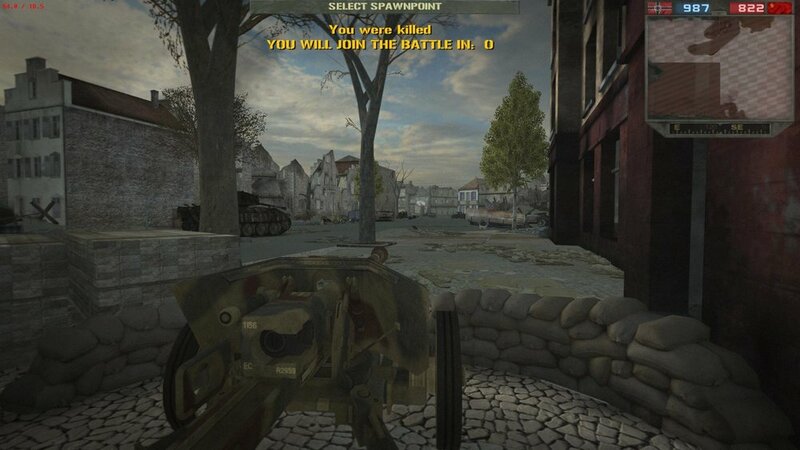 This is where the main battle goes on and it´s a very wide sector so I wouldn´t modify much here. I put a lot of effort and detail into this sector so I don´t want it to become the german mainbase. Instead I would keep it as it is but also remove german tank spawns at this point so the russians would expect to finish this off in around 5 minutes. I agree on replacing some open buildings but keep in mind that the heaviest statics do not belong to stock FH2 and if managed to fix those then probably the lag problem would have diminished. 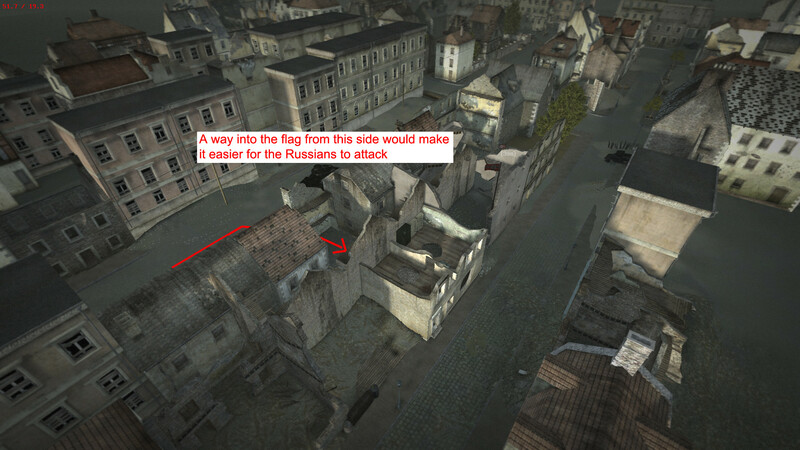 Lastly, I copy-pasted bleed settings from Seelow Heights. In Berlin it seems people die a lot more so I would rise the tickets a little bit to give the russians a few more minutes to reach the last sector of the map. Theres a few duplicate objects in the map, things like wooden barrels, crates etc. I dont think there is really need to have several same sized crates around the map because each adds up load on the map. Try to streamline the object count if you can, since it is unnecessary to use multiple objects to do a job one object can do just fine. If you fear repetition, then thats a compromise you gotta consider. For testing purposes I would have loved if the round I played would have lasted longer so we could have seen how the map is at the later parts. We "only" got to boulevard flag, captured it but ran out of tickets at that point. Was actually quite fun even if I was constantly killed without a chance to even see the enemy (not necessarily map's fault, I dont see people on stock maps either). Only problem with ambitious projects such as this is that you only get so far when you are doing a landmark battle like this with the objects we have. I feel that even with an extensive texture overhaul to majority of the buildings on the map, the berlin immersion would still fall short. But thats just something that you cant do anything about on your own and that is completely fine. It seems like a nice map from proof of concept point of view and I'd be willing to participate in another test in the future, because even if it doesnt make me think it is Berlin, I still enjoyed the work you've put in and the fact that we dont have many city maps in FH2. Nice going and keep it up. After the first game test months ago I made a thorough investigation to see which buildings cause more lag. I realized that some closed buildings are actually memory-heavier than some open ones. I agree the Chateau and the destroyed church are a bit heavy in polys but that´s about it, the rest of the buildings I´ve chosen are very light on polys. Non-stock buildings are not correctly optimized and do add to the lag but even so, I have chosen the ones that are more optimized. Little objects like barrels and crates ended up not being very important as I once thought, I did lots of testing after which I added back a lot of small objects to the map since they don´t make as much of a difference as unoptimized buildings do. 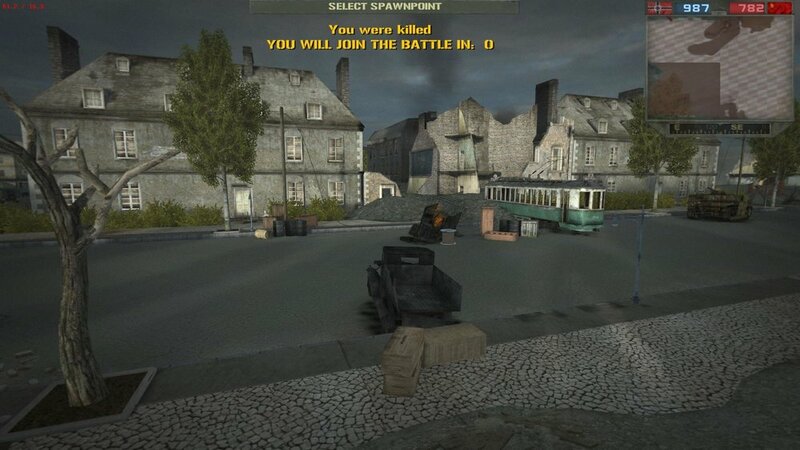 There are much smaller urban type maps such as Brest or Tunis (to a degree) where players are supposed to die a lot because there is constant CQB action. I think what happened in Berlin is that people don´t know the map so they don´t really take precautions about staying alive and that´s why the tickets ran dry so quickly on the first round. Bear in mind there is no artillery on the map for a good reason, which kind of bothers me because the russians had brought a heavy amount of artillery to the battle. I cannot replicate that because it would make the map unplayable. Speaking of aesthetics I have planned some re-texturing and of course getting those french signs turned to german. After all, being in Berlin doesn´t mean the Reichstag has to be there no matter what. The map could be just any big german city. You need to reduce number of vehicles, not knowing the map is an advantage as much as a disadvantage, people don't know the map, so campers don't know the best spots to stop enemy advance either, it works both ways. 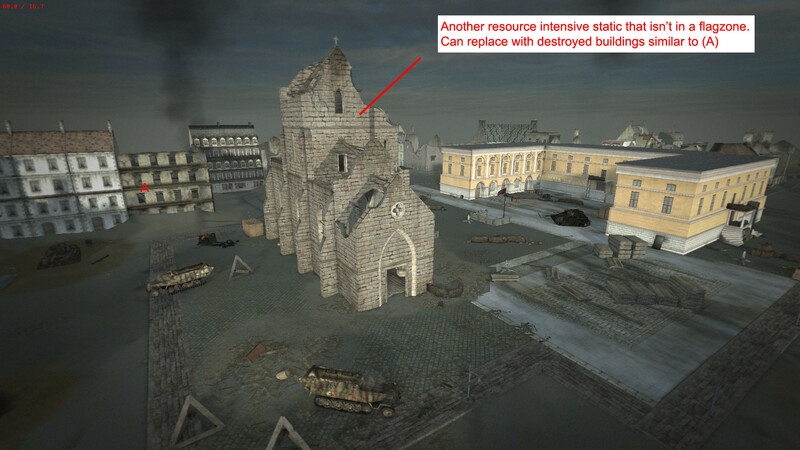 Forget about artillery, it just doesn't fit the urban maps, IRL every building can give you a shelter, in game you have none, and mortars can completely ruin the gameplay, it's the reason why they were removed from Brest. You also need to apply the stricter grenade limits like it is done on Tunis and Brest, and even Sammatus. Other than that, map played surprisingly well, though I had massive FPS drops all over the place (up to 25fps, while I normally play with ~80), not only near custom statics. You need to reduce number of open buildings, you can also limit the view distance a bit, and render the distant fog closer. I think adding a bit of fog, reducing view distance and changing light setting to some more apocalyptic will greatly impact atmosphere on the map, making it look more like freshly ruined city. The number of vehicles has been reduced already since previous tests. In which sector do you think they should be reduced and why? I ask this because tank spawners change from sector to sector so it may be alright in a sector but too many in others. If I am to reduce the number of soviet tanks then I have to reduce the availability of AT weapons for the germans to keep it even. 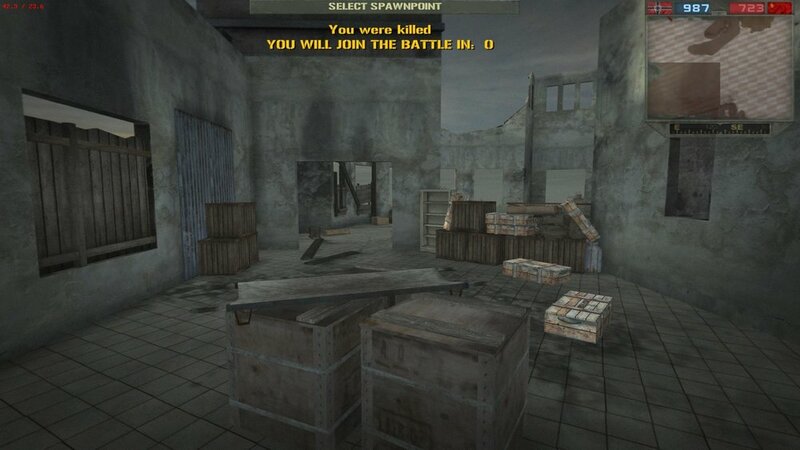 I thought about limiting grenades from the start but I got some complaints about it when I started to create the map. After this test it is clear that kits should not have more than 1 grenade. I´ve tested reducing the viewdistance and I got to the best possible point. Increasing it is not necessary but decreasing it makes the map look weird, I´m not touching that. I tested fog too and it also make the map look weird with the current light settings. Undergrowth view distance has been reduced to the minimum without making it look bad. Lightmap and skybox tweaking is something being considered. I will definately look into replacing the Chateau and the church, other than that there is not a LOT more I can do right now to optimize the map before I get into model tweaking. I can remove a few open buildings but I know it won´t make a big difference because I have tested it already.